NovemBEER is a celebration of beer! What started as small weekly beer tastings, has transformed into a full-fledged festival featuring over 50 breweries, food, and entertainment. Attendees will have the opportunity to choose from over 100 beers while kicking back in the heart of Downtown Phoenix. 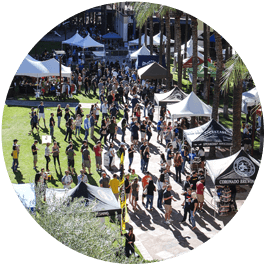 Come celebrate your love for beer at the 5th annual NovemBEER Festival from 1-5pm on Saturday, November 10th in Downtown Phoenix at Washington St. between 1st Avenue and 3rd Avenue. 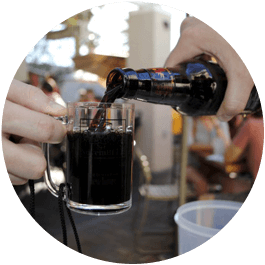 Enjoy samples from over 50 of your favorite breweries including all your favorite locals from around the Valley. Guests will also enjoy access to the vendor village and food vendors including Hogg Doggs, Tacos Huicho, and Que Chevere. Come and enjoy ice cold brews while also challenging your friends in giant pong or jenga! Purchase your tickets today! General admission tickets start at $25 and include entry into the event at 1pm, up to 30 samples (2oz pours), commemorative tasting mug, entertainment, and access to vendor village and food vendors. A VIP ticket starts at $45 and includes all of the General Admission benefits plus early entry into the event at 12pm with first access to limited beers, VIP gift bag, and up to 10 additional samples (2oz pours). The NovemBEER Festival is open to those 21 and over only. You will be required to show ID at the gate in order to enter.